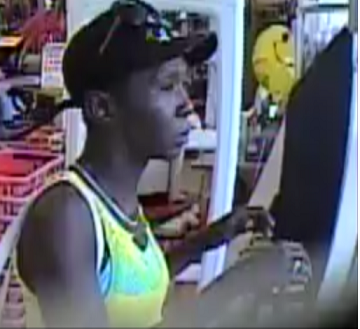 Investigators with the Greenville County Sheriff’s Office are seeking the public’s assistance in identifying the subject believed to have been involved in a strong armed robbery that occurred on Sunday, Sept. 17 at the Family Dollar located at 8090 Augusta Road in Piedmont. Deputies received a report that a black female stole goods from the store, and when an employee attempted to stop her, she struck the employee in the face and fled the scene in a black pickup truck being driven by a white male. Investigators with the Greenville County Sheriff’s Office are asking that anyone with information concerning this incident or knowledge of the persons involved contact Crime Stoppers of Greenville at 23-CRIME.